Looking to grab some pizza with the family this weekend? 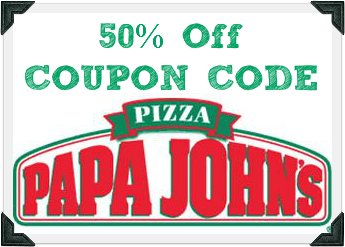 Papa John’s has a new coupon code available for 50% off any large regular price pizza through 5/11. Use coupon code DRAFT14 at checkout to get this deal! This might be a great time to try their new Sweet Chili Chicken Pizza! This coupon code makes most pizzas between $6 and $9! Rent a DVD and have a fun and affordable date night. Remember that Papa John’s coupon codes can be regional, so test out the code with your local store before relying on it for dinner.